Co-author William Simon is a bestselling co-author of numerous books, including iCon (the biography of Steve Jobs) and Kevin Mitnick's previous two books. 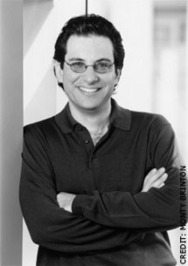 He has also written for USA Today and The Washington Post and been interviewed on CNBC, Kevin Mitnick, the world's most famous (former) computer hacker, has been the subject of countless news and magazine articles, the idol of thousands of would-be hackers, and a one-time "most wanted" criminal of cyberspace, on the run from the bewildered Feds. Now a security consultant, he has spoken to audiences at conventions around the world, been on dozens of major national TV and radio shows, and even testified in front of Congress. He is the author of The Art of Deception and The Art of Intrusion.